Temporomandibular Joint pain (TMJ) or Temporomandibular Dysfunction (TMD) occurs when the TMJ joint that connects the skull to the jawbone becomes impaired in some way. To ensure that you receive the appropriate treatment, it’s important to get a proper diagnosis. Only by finding the root cause of the problem can we start to treat it. Our dental team will perform a comprehensive examination and create a customized treatment according to your needs. 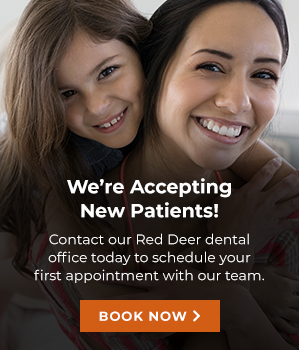 Contact Southpointe Dental in Red Deer to learn more about TMJ therapy today!